3-Day Big Game Rush Sale! Canadian Tire Canadian Tire 3-Day Big Game Rush: Heritage 10-Pc. 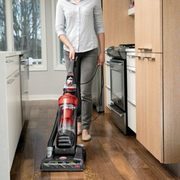 Cookware $150, Bissell Power Lifter Pet Vacuum $96 + More! 3-Day Big Game Rush Sale! Head in-store to Canadian Tire this weekend and shop the 3-Day Big Game Rush, the flyer for which is now available for viewing here on RedFlagDeals! This flyer is effective from January 25 through January 27 at all Canadian Tire store locations, with the exception of Winkler and Seinback where the sale is valid January 25,26, and 28. Certain items are also available via Canadian Tire's Pay & Pick Up tool, where you can pay for your items online and pick them up in-store to avoid line-ups, without any additional charges. You can also check if you're eligible for home delivery, now available in most areas for an extra fee. Interested in that Shark vacuum. I've heard some decent things about it! But when I click on the link...price still shoes $329! Any idea?